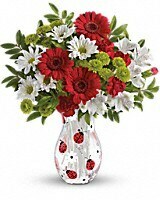 Say "thank you" to the people in your office with this colorful bouquet! 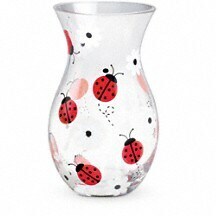 Presented in a charming ladybug vase-it is the perfect way to show your gratitude. 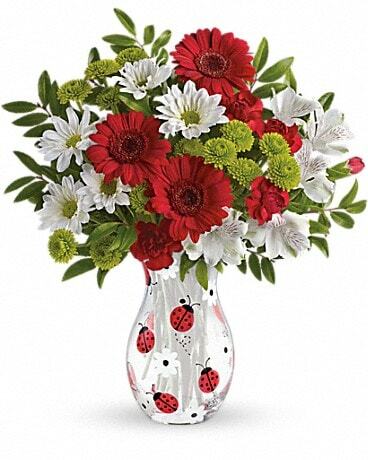 This charming glass vase with playful ladybugs is a part of Teleflora's exclusive Flowers-in-a-Gift collection. 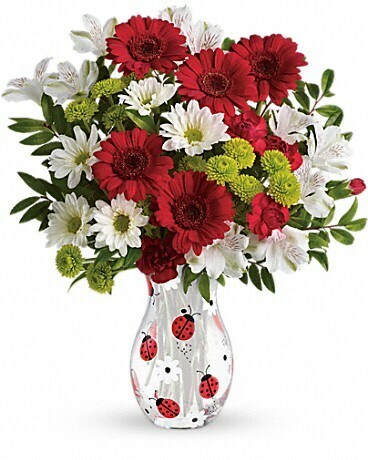 It is the perfect way to send a heartfelt "Thank You"!